It is almost three years since the Addis Ababa Action Agenda (AAAA) set out a global framework for financing development in the era of the Sustainable Development Goals (SDGs). The AAAA outcome document of 20151 outlined a broad spectrum of financing options: domestic and international, public and private. This was a shift from the focus of the Millennium Development Goals, which, at least initially, focused on official development assistance (ODA) in financing development. Of all the financial resource types identified, domestic public resources were identified as central. Domestic revenue mobilisation (DRM) strengthens country ownership of development. By raising revenue and choosing how to spend it, governments (national or subnational) can directly shape development in their own contexts. In addition, the AAAA emphasises that, whether through economic growth or by strengthening DRM, there is potential to increase domestic public resources significantly to finance the SDGs. International assistance could support this. In 2018, belief remains in the potential of domestic public resources to provide increased funding and to shape sustainable development with a focus on reducing poverty. However, progress has been mixed. International development partners have generally understood the importance of using ODA to support DRM, especially given the potential catalytic role of DRM and its alignment with principles of development effectiveness. This is exemplified by the creation of the Addis Tax Initiative and other initiatives such as the Platform for Collaboration on Tax. International policy and assistance have increasingly focused on not only the quantity but also the quality of domestic revenue. Shaping sustainable development is a consideration, including the role of tax regimes on poverty, inequality, health, gender and the environment. This paper seeks to understand this seeming lack of progress in more detail in the context of developing countries and the development partners that support them. Using best practice examples it offers recommendations for how ODA for DRM can be more effective through steps taken by both donors and developing country governments. The paper is divided into two sections. Section 1 provides an overview of progress on DRM from the perspective of recipient government and development partners, outlining areas where progress has been made and challenges have been faced and identifying what key areas need greater understanding for more effective ODA for DRM. Section 2 looks towards the future, highlighting a number of ways recipient government and development partners can have more effective policies, structures and process to lead to more effective use of ODA for DRM and ultimately make broader progress in raising national public revenues. Since the 2030 Agenda for Sustainable Development (Agenda 2030) was committed to three years ago, interest has grown significantly in the role and progress domestic public resources are making towards achieving it. This is from (1) a recipient government perspective in terms of their ability to deliver increased resources and use of tax policy to influence development outcomes, as well as from (2) a development partner perspective in providing support to achieve the stated objectives. This section provides an overview of progress from both perspectives. With the advent of Agenda 2030, which bought a significantly expanded set of development goals, there was collective recognition that financing it would require numerous sources of funding. Domestic public resources were identified as a key source, as outlined in documents such as the African Union’s Agenda 20633 and the AAAA outcome document.4 This was driven by the positive role domestic resources can provide in national ownership of development financing. It was also driven by the potential to mobilise significantly higher levels of this type of funding due to the current low government revenue-to-GDP ratios observed in many developing countries compared with developed countries. 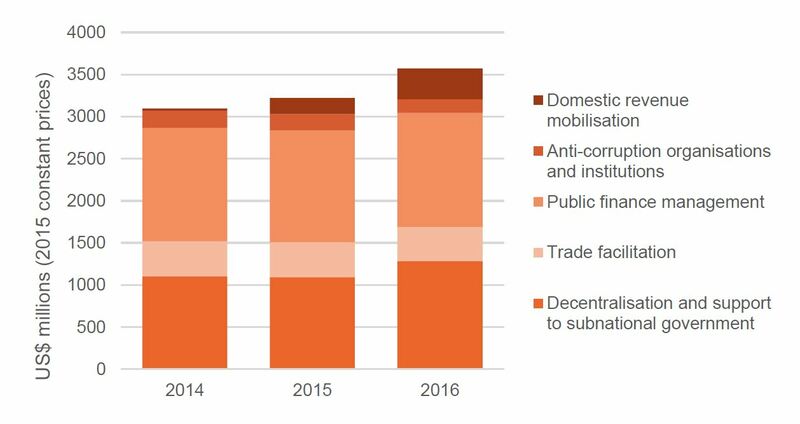 However, between 2015 and 2018, there has been little overall progress in increasing DRM in low-income developing countries (Figure 1). This pattern is similar in other developing countries. There are many reasons for this, depending on country context. The global fall in mineral prices has had a significant impact on revenue generation for commodity exporting countries, as shown by Figure 1. Meanwhile in non-commodity exporters the tax-to-GDP ratio has only marginally increased. Several challenges have been faced. Political insecurity and natural disasters have hampered growth and impeded DRM in a number of countries. Elsewhere DRM efforts have been hampered by slow reform of tax administration and policy, and of wider related issues such as anti-corruption measures and government transparency. Source: Development Initiatives based on IMF Fiscal Monitor, April 2018, Capitalizing on good times. Notes: Shaded area represents projected figures (2018–2022). Country grouping follows IMF definitions. The lack of progress in revenue generation is creating a significant policy challenge for many developing country governments, because it is not keeping pace with planned expenditure needs. This has resulted in cuts to spending or increasing deficits (for example in Tanzania5 and (Lao PDR)6) or in increased use of non-concessional finance to cover the gap (such as in Uganda, Box 1). The increased use of non-concessional finance has meant that interest payments on debts have grown substantially. 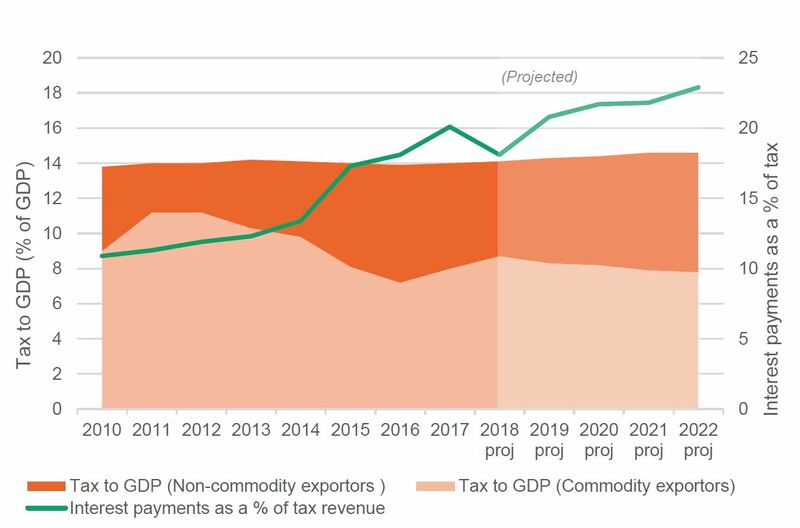 As shown in Figure 1 for low-income developing countries, interest payments have increased from 10% of tax revenue in 2014 to 16% in 2017, and are projected to be 18% by 2022. By way of comparison, average government health spending through non-grant revenue in Africa and Southeast Asia in 2015 was 7% and 8.5% respectively.7 This highlights both the scale of interest payments and the potential constraint on fiscal space their increases will have on health expenditure and other sectors that are key to achieving development goals. From 2013 to 2017 the government of Uganda made significant progress in DRM, increasing its tax-to-GDP ratio from 11.3% to 13.6% – described by the IMF as a key recent success story in Africa. Despite this achievement, and because of Uganda’s many development needs, expenditure has consistently exceeded revenue collected, pushing the government to resort to non-concessional external and domestic sources to finance the deficit. As a result, Uganda’s public debt nearly tripled in 10 years, from US$2.9 billion in 2006 to US$8.7 billion in 2016. Although borrowing has primarily been used to finance infrastructure development designed to boost growth, and levels of debt remain at a ‘sustainable’ level, interest payments on the debt are expected to be 12% of the 2018/19 budget. This is more than the total funding of the health and agriculture sectors combined. Therefore, it is becoming critical that DRM is further increased to finance the debt as well as support national development. In 30 out of the 28 countries, there is potential of over 1.5% of GDP to increase tax efficiency to meet the frontier. The IMF report estimates that bridging the tax gap in all 38 countries would represent increased revenue of between US$50 billion and US$80 billion per year – highlighting the level is significantly more than the US$36 billion received in ODA. Several countries have either reached or are close to reaching their tax capacity (e.g. Comoros, Senegal and Zimbabwe), or have a tax frontier below 15% of GDP, a ratio considered not sufficient for the government to function effectively. Therefore, in these cases, wider structural reform is essential for effective DRM efforts. Source: IMF, 2018. Regional economic outlook: sub-Saharan Africa: domestic revenue mobilization and private investment. The IMF findings show that, depending on country context, policy reforms to increase DRM can focus on specific DRM-relevant areas to reduce the tax gap, or on increasing the tax frontier, or a combination of the two. While developing country governments should ultimately frame policy decisions, this also suggests that international support should be more country specific to help partner countries address the particular challenges they face. As Figure 2 highlights, there may be significant differences between countries’ fiscal positions, which may require substantially different responses. Although tax-to-GDP ratios in developing countries are not increasing significantly to finance government development plans, there are signs of progress in other areas. Positive economic growth – Latest estimates from the IMF show that prospects for economic growth are projected to be positive across all developing countries in the medium term,10 which will help support increased DRM. However rates are not expected to be enough to maximise DRM alone, with average growth rates between 2018 and 2020 of 3.7% across sub-Saharan Africa and 6.4% in ‘emerging and developing Asia’. Increased attention to role of tax in development outcomes – Developing country governments are increasingly looking at the role taxation can play in achieving development outcomes, including through specific taxes on the environment and healthcare (e.g. tobacco taxes), how progressive they can be in reducing inequality and poverty, and the benefits of ring-fenced taxation to fund specific sectors (e.g. boosting healthcare financing, as implemented in Gabon in 200714 and Zimbabwe in 201715). In this manner, some countries (such as Indonesia, Uganda and Lao PDR) are implementing medium-term revenue strategies, a component of which is framed around building a social consensus.16 However, the actual implementation of taxes on aspects like the environment17 and tobacco18 is not widespread across developing countries, principally due to the complexity of effectively rolling them out. In many countries, national revenue authorities have identified financing necessary to carry out their own medium-term plans. Although costed plans are not available for every developing country revenue authority, increasing numbers are producing medium-term plans with budgets, some of which detail funding requirements from government and external support. This paper considers three such countries: Liberia, Uganda and Kenya. Table 1 looks at the costed medium-term plans of the revenue authorities in each, outlining their total funding requirements to carry out the plans, expected allocations from government’s own resources, other potential resources and the identified funding gap. In all three cases, revenue authorities are facing significant funding gaps. Given the scale of the need, these gaps are unlikely to be met by government resources in the short-to-medium term. Across the three countries, the funding gap is significant, at US$312 million in total, with only relatively small contributions from ODA received in Uganda and Kenya in the first year of the respective plans. While it is difficult to estimate the impact of the funding gap, based on the revenue targets in the plans and progress to date, the shortfalls in meeting the target at present in Uganda and Kenya stand at US$3 billion and US$9.5 billion. More needs to be known about national financing needs for DRM – If revenue authorities’ financing gap in three countries is US$300 million, then across low-income developing countries the financing gap will likely total billions rather than millions of dollars. Having a clearer picture of the financing requirements across a broader number of countries would help in estimating funding gaps to guide greater action at the global level, including in prioritising ODA, given that projected financing available is in stark contrast to this gap (see section on the development partner perspective below). Need for better understanding of the areas of needs alongside the funding shortfalls – Typically the majority of costs associated with revenue authorities or departments responsible for fiscal policy are focused on wages and salaries, although large costs are also associated with spending on infrastructure (e.g. IT or customs systems) and needs around capacity development. Therefore, having a better understanding about which aspects of support for DRM are currently funded or unfunded could provide useful information to outline what role ODA could play in supporting those gaps, as opposed to other potential financing options (such as non-concessional loans or public–private partnerships). The launch of the Addis Tax Initiative (ATI) in 2015 provided a focus for support to partner countries to reduce the gap between revenue raised and the frontier line of potential maximum revenue (as outlined above and shown in Figure 2). Development partner members of the ATI have committed collectively to double their technical cooperation support in this area by 2020 from a 2015 baseline of US$224 million for disbursements. 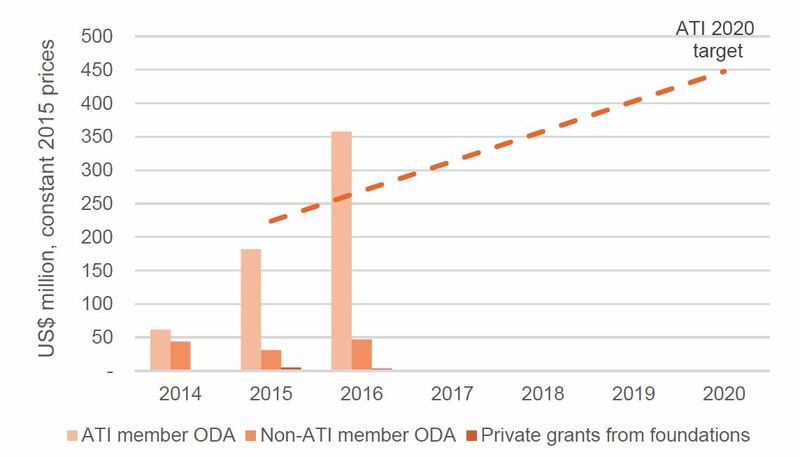 As Figure 3 shows, this appears to have had a significant impact on ODA disbursements by ATI development partner members, with an increase in real terms from US$61 million in 2014 to US$358 million in 2016, an 482% increase over the period. In comparison, ODA for DRM from non-ATI members (predominantly Japan, New Zealand and the World Bank) has risen only modestly (7%) in the same period. By 2016, 80% of the 2020 target had already been met. Source: Organisation for Economic Co-operation and Development (OECD) Creditor Reporting System (CRS) (ODA disbursements), ATI monitoring report 2015 (ATI benchmark line) and International Aid Transparency Initiative (IATI) database (foundations). Notes: Data includes all activities coded through the OECD DRM purpose code (15114) and wider projects considered to have a major DRM-specific component. See Annex A for details on methodology. Concern has been raised (for example by Oxfam19 ) that the recent increase in disbursements to DRM was reducing support to other areas related to effectiveness of DRM, such as public financial management, trade facilitation, anti-corruption and decentralisation support. Yet, as shown in Figure 4, the increases in disbursements to DRM have not seen any significant changes to other relevant sectors. However, the nature of many projects spanning several sectors has led to challenges in data quality, which calls for the needs for improved reporting and standardisation (Box 2). The launch of the ATI was a key driver in forming the DRM-specific code in the Organisation for Economic Co-operation and Development (OECD) Creditor Reporting System (CRS). This has greatly helped in estimating ODA for DRM, which was previously based solely on word-search methodologies. However, because DRM activities are often one part of a wider project, there are challenges in reporting accurately to the purpose code. This has led to instances of both under- and over-reporting. Over-reporting involves adding projects with components wider than DRM, or not seemingly relevant at all (e.g. one project assigned as DRM-specific by one development partner is on biodiversity management and climate change). This is a key reason why the analysis in this paper also includes wider projects extending beyond the DRM code but which have a major DRM focus. While the purpose code is new, and it will take time for reporting to improve, there is potential for further splitting of DRM-relevant projects using the International Aid Transparency Initiative (IATI) reporting standard, being implemented by the World Bank International Development Association in its reporting to the OECD CRS. There is need to standardise reporting across the OECD CRS, IATI and the ATI DRM databases. At present, reporting to IATI on the DRM code is not standardised with the OECD CRS, and the ATI database includes projects that are not reported to the OECD CRS. Improved reporting harmonisation across these datasets would lead to greater clarity on the scale of ODA for DRM. Through IATI, it would also enable further analysis of support by other development actors, more up-to-date information, and information on development partners’ future spending plans. The overall increase in ODA from ATI development partner members masks some quite significant differences, as shown in Table 2. 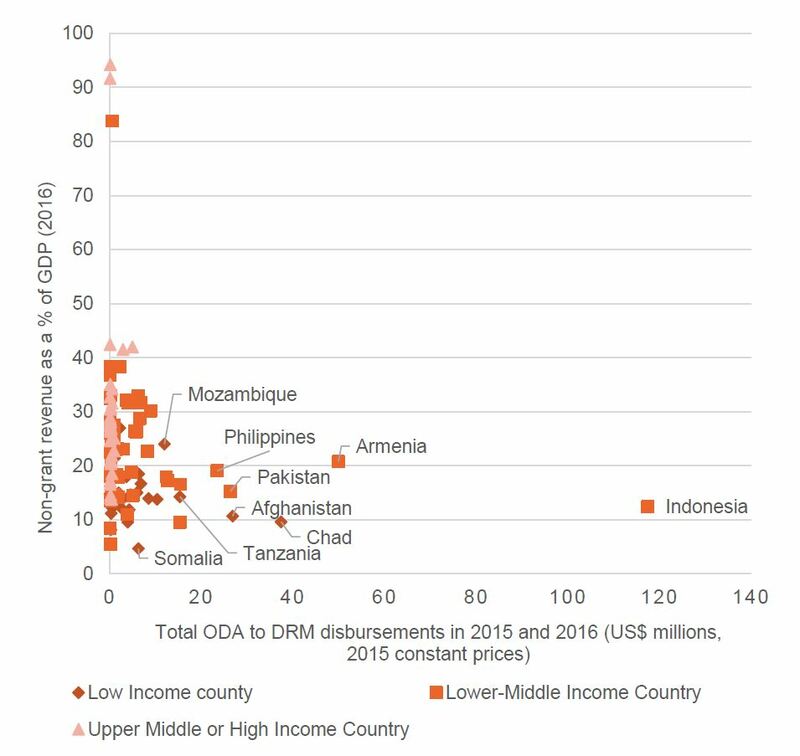 A major factor in the collective increase in ODA for DRM was the result of a significant increase in funding from France, which increased disbursements from US$5.7 million in 2015 to US$155 million in 2016 (including an ODA loan of US$115 million to the Government of Indonesia). Along with France, both Sweden and Switzerland have already achieved their part in doubling support by 2020, some four years early. In contrast, eleven development partners have reduced disbursements in 2016 relative to their original baseline and another three have seen very little growth over the previous year. Note: In the right-hand column, a value of 100 or more indicates that the target has been met or exceeded (green); a negative value (pale orange) indicates progress below the baseline. See Annex A for details on methodology. Discussions with several ATI development partner members21 indicate that many retain a strong commitment to the ATI but have found it difficult to scale up ODA to DRM at present. The main reasons for this are the stagnation of global ODA22 and a reprioritisation of ODA to other areas such as refugee costs and private sector development, although this could have indirect benefits to tax receipts (see later section on providing effective ODA support for DRM). As an example, Box 3 outlines the case of Finland. The Finnish government was very active in the AAAA process and has been a committed member of the ATI since its inception. Finland sees taxation as an area of expertise in which it can support partner countries with DRM. However, the total development budget of the Finnish government decreased by 43% between 2014 and 2016, with a further fall in 2017. At the same time, the development budget administered by Finnfund, the national development finance institution, has been refocused. In combination with challenges in finalising certain DRM projects, this has meant that Finland’s ODA disbursements for DRM fell in 2016 to US$3 million, less than its initial ATI commitment baseline of US$4.5 million. ODA for DRM activities in 2015 and 2016 was spread across 113 developing countries, ranging from low- to high-income countries (Figure 5). This indicates that DRM support can be used in a range of countries with different contexts in reducing potential revenue or tax gaps. However, most of the disbursements went to a small subset, with almost half going to just seven countries: Indonesia received 18.9%, Armenia 8%, Chad 6%, Pakistan 4.4%, Afghanistan 4.3%, the Philippines 3.7% and Ghana 2.5%. Sources: OCED CRS, IMF staff and programme reports, IMF World Economic Outlook database (April 2018). Notes: Data includes all activities coded through the OECD DRM purpose code (15114) and wider projects considered to have a major DRM specific component. See Annex A for details on methodology. Figure 5 shows some relationship between the levels of non-grant revenue and ODA received, but not a significant one. Overall, there is little evidence of a correlation between the scale of DRM and development partner decisions about where to direct funding. 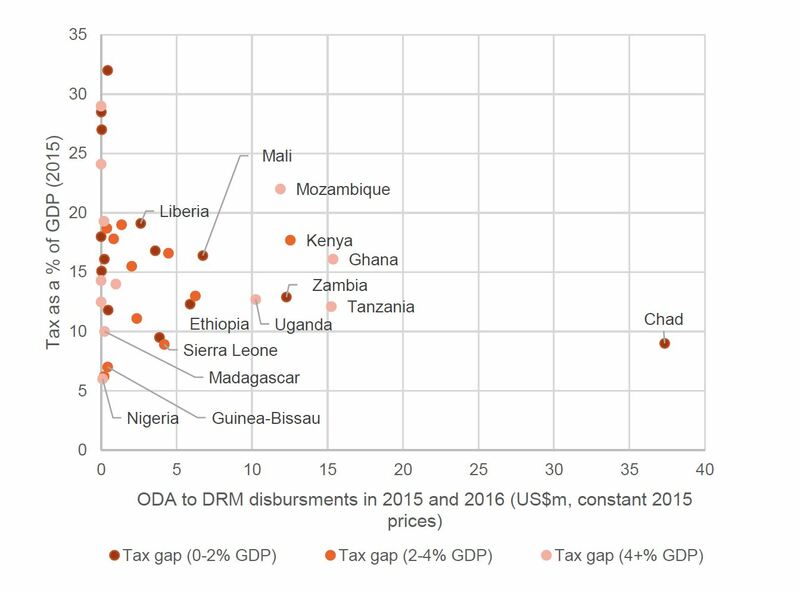 In addition, when comparing the African tax-gap data from Figure 2 with the data on ODA for DRM, Figure 6 highlights again that this factor does not seem to be highly motivating in decision-making by development partners. For example, while some countries with a high tax gap and relatively low tax-to-GDP ratios received significant funding (e.g. Uganda, Tanzania and Ghana), others such as Nigeria, the Republic of Congo, Madagascar and Cameroon received little or no support, despite low tax collections compared with economic output, and high tax gaps. Therefore, more evidence and understanding of how decisions are made on support to DRM would help to inform efforts to increase ODA for DRM and potentially to ensure that resources are most effectively deployed. Sources: OCED CRS (ODA disbursements), IMF, 2018. Regional economic outlook: domestic revenue mobilization and private investment. The funding gaps of revenue authorities alone is likely to be billions of US$ rather than millions. However, if the ATI commitment is achieved it will only amount to US$448 million in 2020, meaning ODA alone will not be able to bridge the gap. Therefore, it is crucial that further evidence is sourced in order to find the most effective use of ODA as a resource for DRM-specific activities alongside other sources of finance. Need to understand the wider financing landscape for DRM – There are several other development finance resources providing support (Box 4). While estimating accurate figures is challenging, there are sufficient examples to illustrate that many diverse actors are providing significant financing. More research is needed to understand the scale of South–South cooperation and the involvement of foundations and the private sector. If ODA alone is not enough to finance shortfalls in the DRM-specific costings of partner governments, could more be done to investigate the use of blended finance, as in Ghana, to catalyse additional resources? Could the experiences of diverse actors in DRM financing be more promptly shared for greater mutual learning? Other official flows – The Asian Development Bank, the Inter-American Development Bank and the International Bank for Reconstruction and Development disbursed other official flows (OOFs) to DRM totalling US$351 million in 2016 – a similar amount to that of total ODA. Recipients since 2014 have been mostly middle-income countries, with Mexico receiving US$306 million and Egypt US$100 million from the Inter-American Development Bank between 2014 and 2016, and Indonesia receiving US$200 million in 2016 from the International Bank for Reconstruction and Development. Foundations – While it is difficult to establish accurate information on finance amounts from foundations, there are examples of foundations disbursing significant funding in relation to DRM, principally to non-state actors for research and advocacy. The Bill & Melinda Gates Foundation and the William and Flora Hewlett Foundation have reported DRM activities through the IATI database, with total combined disbursements of US1.7 million in 2015 and US$3.4 million in 2016. In addition, the Ford Foundation though its own web portal has reported grants from 2015 to 2017 of US$5.5 million in relation to DRM activities. What comparative advantage does ODA have for the needs of specific development partner governments? Given the particular needs of recipient governments and other non-state actors, a greater understanding of the most effective use of ODA is needed. For example, given the broad range of development partners, in which areas do they have specific areas of expertise, and how can these be better aligned to countries requiring support in this area, based on a comparative advantage over other development partners and alternative forms of financing? The ATI, through its members and supporting organisations, is perhaps ideally placed to gain further insights in this area. In the past there was significant criticism of development partners’ policy advice to recipient governments, which focused more on increasing DRM volumes and less on qualitative dimensions of how it can directly impact poverty, inequality and foster improved development outcomes.30 However, since Agenda 2030 is not only about scaling up DRM but also about progressiveness and fairness, development partners have begun to shift their emphasis towards quality as well as quantity. For example, the IMF in its October 2017 Fiscal Monitor report31 focused on the role taxation can play in reducing inequality. And the World Bank, through its work with Commitment to Equity, has studied the role tax plays as part of wider fiscal policy in tackling poverty and inequality.32 This shift in emphasis has seen the concept of the medium-term revenue strategy – promoted by the IMF, World Bank, OECD and UN – having a clear component around quality of taxation and a social consensus. Development partners are also increasingly linking DRM support to wider impacts on development outcomes (see later section on providing effective ODA support for DRM). The first section of this paper provided an overview on DRM to now, from both the partner country and development partner perspective, highlighting areas where progress has been made and where challenges and key issues were faced. This section turns the attention to the future, looking at ways partner governments can better shape DRM-specific support from development partners, how action on key areas outside of (but relevant to) success is needed and how it can be supported, and at steps development partners can play to ensure their support for DRM is effective through meeting development effectiveness principals and having coherent approaches. Based on country examples and development partner perspectives, an essential element in creating a domestic environment conducive both to DRM itself and to securing international support is high-level domestic political commitment. This signals to the international community that there is in-country commitment to national development and building state processes to develop and strengthen DRM. This was a key first step in Georgia following the ‘Rose Revolution’, when an articulated development vision by the Prime Minister helped start the process of public financial management (PFM) reforms.33 This also helped to engage international support, and revenue-to-GDP rose from 16% in 2003 to 30% in 2017. Strong national political commitment to strengthening DRM is also driving greater development partner engagement in Somalia (Box 5). Development partners such as the UK’s Department for International Development (DFID) have stated that they will prioritise support for countries committed to joining the Open Government Partnership and the ATI.35 As the co-chair of ATI says, “ATI membership is not a ticket to the party, but it does give countries more visibility and shows commitment”.36 However, initial evidence on disbursements from ATI development partner members suggests that some countries saw disbursements fall from 2015 to 2016, with one (Gambia) yet to receive any ODA for DRM despite its membership of the ATI. However, it may be the case that as the ATI has developed since 2016, development partner priorities have shifted. Since the Federal Government of Somalia was formed in 2015, and guided by the 2016 Vision, it has led numerous fiscal reforms supported by the IMF. These include forming staff-monitored programmes in 2016/17 and in 2017/18, and 87 technical assistance programmes since 2013. Following elections in early 2017, the new Prime Minister and Minister of Finance have both advocated for fiscal reform and DRM to fund development. Recent tax reforms are hoped to improve the ratio of government tax to GDP from 1.6% in 2016 to 2% in 2020. With international support, the Federal Government is also working with state governments to harmonise taxation policy. Partner countries can usefully encourage support by clearly outlining their plans for increasing domestic public resources – and the role international support can play in those plans. This can help development partners to align their efforts with existing plans. Outlining the role of ODA within strategic plans – Through strategic plans by revenue authorities (Table 1) or through wider strategic plans (e.g. PFM strategies), partner governments are articulating roles for international public finance with which development partners can align. Outlining DRM within development cooperation policies – In the latest Development Cooperation Forum (DCF) Mutual Accountability Survey,38 of the 39 respondents who said they had a national development cooperation policy, 56% reported that this included a DRM strategy. Having effective mechanisms to engage in dialogue around DRM is key for several reasons, for both development partners and domestic stakeholders. Dialogue can enable structured engagement between developing countries and partner countries and can help to communicate action plans (Box 6), along with improving coordination and alignment of development partners. In addition, effective and inclusive dialogue mechanisms, both formal and informal, can foster better integration of the private sector and civil society organisations into discussions for greater mutual cooperation. In Lao PDR, the national aid coordination mechanism, established with the support of the UN Development Programme, links to the national development plan and to effective development cooperation. This roundtable process has 10 working groups, of which the macroeconomic group reviews progress on DRM and public financial management (PFM), producing annual reports, with representatives across government and development partners. It was key to establishing the Public Finance Development Strategy 2025. In addition to creating an enabling environment for development partners to support DRM-specific activities, there are several wider areas that are critical for supporting improving DRM. While these need to be led by governments, development partners can play key supporting roles. The sustained payment of taxes or provision of other forms of revenue to governments depends on a level of trust that the income will be used to benefit the paying person or organisation, either directly or indirectly through wider societal benefits. Therefore, being transparent and accountable is one key way in which a government can support building trust between citizens or businesses and the state. State accountability broadly involves having sufficient legislative frameworks to protect rights, backed up by a strong and independent judiciary to ensure the rule of law and reduce opportunities for corruption. While this is outside the focus area of DRM, there are connections through the need for clarity about taxation law and the opportunity of a trial should there be a dispute with the state. Data – both economic and administrative – is at the centre of designing taxation policy and ensuring effective tax administration. Required data can include information held by a revenue authority or tax policy department (such as a taxpayer database or company accounts), as well as by other ministries, departments and agencies (such as land or other asset registries, registered company databases, company shareholder lists and household surveys). However, a key challenge is that, in countries where statistical capacity is low or the economy is highly informal, databases can often be partial. This makes it difficult to standardise information, leading to tax policy being based on broad assumptions or revenue authorities requesting private information (Box 7). Ghana – Following the proposal of significant tax policy reforms by the Government of Ghana in 2016, the Ministry of Finance requested support from the UK Institute for Fiscal Studies to help estimate the cost of the policy changes. A major challenge was finding information on the proportion of the tax base and the rates companies faced, to understand current and future liabilities of companies for corporate income tax. The IFS is now working to digitise taxpayer data to facilitate future research. Source: IFS, 2017. Tax policy costings: refining approaches and incorporating behaviour. Available at: https://www.ifs.org.uk/publications/12873. Uganda – In 2015, the UK Department for International Development (DFID) provided US$15,000 to the International Centre for Tax and Development to research taxation of high-value tax payers: ‘high net worth individuals’ in Uganda. This group was hard to tax, being generally outside the formal economy. The research led to a high net worth individual unit being established in the Uganda Revenue Authority, which in its first year increased collection by US$5.5 million and improved compliance rates from 13% to 78%. The majority of tax collected was connected to property income, as other data was of insufficient quality to identify assets in other areas (e.g. company profits). Therefore, the Uganda Revenue Authority has been seeking information on all bank accounts in the country, a move that was swiftly rejected by the president as unlawful. To address challenges like those in Uganda and Ghana, international focus has centred on the role of technology and digitalisation to bridge data gaps, reduce the burden of compliance, improve efficiency (e.g. at customs ports) and provide solutions to privacy concerns. There are recent examples of this in Estonia’s digital transformation effort46 and Kenya’s digital platforms.47 While technological advances here show clear potential, they cannot replace effective regulatory frameworks. National statistical systems to provide information in key areas, such as land and company registration, are essential foundations for effective tax policy and administration. Numerous areas outside DRM play a significant role in building the tax or revenue frontier. The actors involved in all these areas are diverse, cutting across government ministries and agencies, and extending through national and subnational levels. DRM also involves a broad range of taxpayers participating. Therefore, governments need to provide institutional and policy coherence to achieve effective and sustainable DRM. One example of success here is Liberia, which, albeit at an early stage, is developing a whole-of-government approach to DRM (Box 8). Since the passing of the PFM act in 2009, Liberia has undergone significant reforms, assisted by development partners. Since 2010, the government has adopted several PFM strategies and an action plan, which have formalised intuitional arrangements to bring together all government actors related to PFM in three committees. PFM Steering Committee: responsible for setting the programme’s overall policy direction, chaired by the Ministry of Finance and including six other ministries and agencies, plus civil society involvement. The Project Technical Committee: monitoring the implementation of programmes contained in work and procurement plans, where all component managers provide status updates. The Reforms Coordination Unit: in charge of day-to-day operational administration of PFM coordination. Strengthening DRM is based on building state capacity and the role of the state in providing services to its population. Any ODA resources allocated to DRM or related sectors to build tax and revenue frontiers will be effective only if support from development partners is aligned with principles of development effectiveness and policy coherence. This subsection looks at both of these issues and outlines current progress, challenges and some examples of best practice. Adherence to development effectiveness principles is key to the effectiveness of all development cooperation. This agenda was widely agreed over a decade ago and has been refined and reiterated since then. However, in DRM as elsewhere, implementation remains poor – particularly in partner countries’ ownership of their own development. ODA for DRM involves assistance over a comparatively long time horizon, given that it involves building effective systems, especially where significant reform or capacity building is needed. As highlighted in Table 1, in outlining the strategic plans of revenue authorities, a central challenge remains in understanding longer-term funding commitments in support of national plans. While these funds have enabled greater alignment by development partners, they have not been provided as specific budget support. Rather, they form a separate fund to finance programmes in the revenue authority itself. The only possible exception to using country systems for DRM-related activities is support for non-state actors to advocate for policy reform. This form of support is common in development partners’ strategies, and in those of foundations (see Box 3). For countries in most need of support for DRM (such as the poorest and most fragile), development partners continue to be reluctant to use country systems fully. A recent report by the Commission on State Fragility, Growth and Development calls on development partners to replace automatic distrust of recipient governments with conditional trust – and to work with country systems even if they do not fully conform to international norms.57 Development partners who provide significant investment to DRM need to accompany this with support for national ownership, and use of country systems, to optimise the effectiveness of ODA for DRM. Policy coherence for sustainable development is a central component of both the AAAA and the SDGs (Goal 17). Its importance to ODA for DRM is exemplified by the commitment of ATI development partner members to policy coherence in the support they provide. However, to date, reporting progress on policy coherence has tended to outline how policies and strategies are coherent with one another, and how certain institutions are coherent in supporting ODA for DRM (e.g. in terms of development agencies’ links with their own ministries of finance and revenue authorities). While this is clearly a good start, there is a need to expand reporting from processes to results in the following three ways. 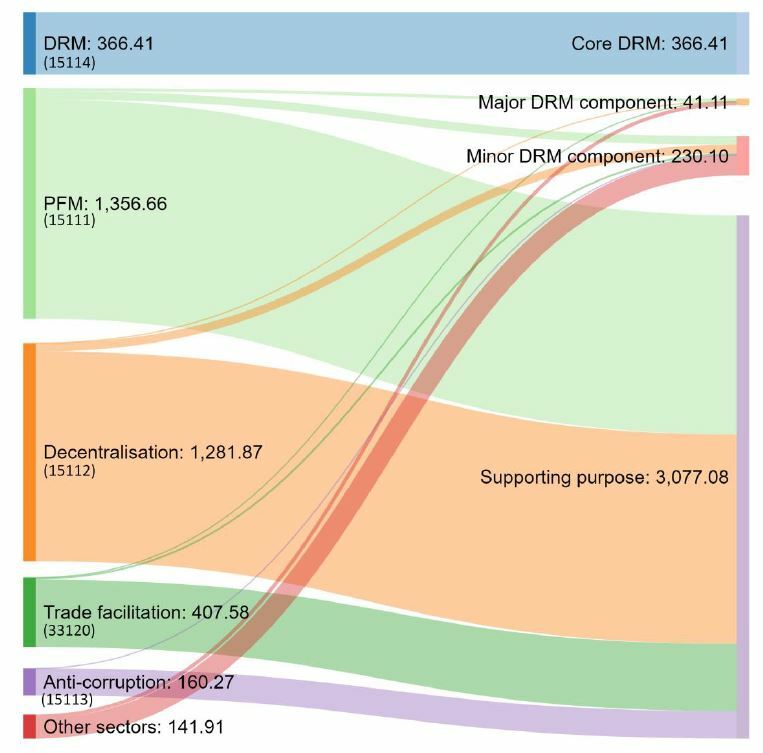 Better reporting on coherence of DRM support to wider development strategies – Strengthened DRM systems can have a significant impact on SDG attainment, both through the additional resources created or directly through tax policy (e.g. focusing on progressiveness, gender equality, health and environment). To date, development partner reporting on ODA for DRM has tended to report links to gender equality, poverty reduction and meeting other SDGs, as indirectly increased revenue generation could theoretically be spent on these areas (Box 9). However, development partners could move to report on actual outcomes of DRM-related projects through better coordination with partner countries. Greater evidence and reporting of the impact of development cooperation on DRM – With the increased focus of development partners towards private-sector investment, for example through disbursements though their own development finance institutions, there is significant potential to affect DRM systems in partner countries. While some development partners like DFID specify that any company it invests in should pay local taxes, and the European DFI umbrella organisation lists strengthened domestic tax revenue as a direct impact of their members work,58 there is no reporting framework in place to monitor companies’ level of compliance or extent of tax planning. However, the Finnish government’s Finnfund has stronger mechanisms for reporting on tax payment by investee companies, and a commitment to avoid aggressive tax planning (Box 10). Finnfund is an example of how private-sector investments can support DRM in host countries, with greater reporting and transparency of potential impacts. Another area that has received significant interest in this manner is development partners’ use of tax exemptions for ODA. 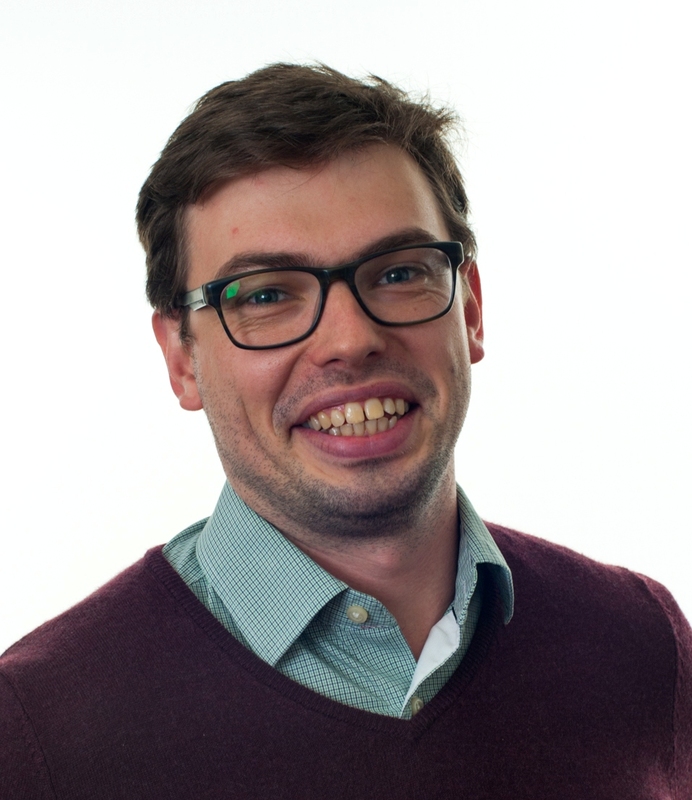 While there are justifiable reasons for wanting certain exceptions, recent research by the Overseas Development Institute59 has shown that certain practices may not be coherent with policy aims and greater scrutiny of them is needed. Stronger assessment of development partners’ own policy decisions and impact on DRM in partner countries – With the increasingly global, mobile and digitised economy, there is an increasing focus of development partner government policy in areas like tax and trade, for example, recent tax cuts by the USA.60 Although policy changes are ultimately a sovereign decision, development partner governments could outline potential impacts to partner countries on revenue generation, particularly where they provide support for DRM. Also, the international tax agenda is often championed by development partner governments as a way of showing coherence in their approach, such as through the Base Erosion and Profit Shifting (BEPS) inclusive framework. Yet concern has been raised about the role developing countries government can play in shaping the agenda and using the information produced.61 Therefore, it should be a priority of developing countries that they are supported further in this way. DFID’s strong commitment to ‘leaving no one behind’ and the related ‘zero targets’ does not translate into an explicit focus on poverty reduction or gender equality in the UK’s tax and development programme. While the UK’s International Development (Gender Equality) Act 2014 makes it mandatory to screen every development and humanitarian programme against its effect on gender equality, DFID tax support does not target gender equality directly. Instead, it acknowledges indirect links between stronger tax systems, increased revenues and the positive impact of increased public spending and social service provision for vulnerable groups and women. Economic growth leads to poverty reduction, which will especially benefit women, given that in Pakistan women are disproportionately likely to be living in poverty. Increased government revenue provides more resources, including for health, education, security and social safety nets. These are especially critical to the wellbeing of women and girls. Strengthening the coverage of the national cash transfer scheme (Benazir Income Support Programme/BISP), including timely and predictable payments, to 5 million women and their families, offers increased control by female recipients of their household spending. Finnfund’s main mandate and contribution to sustainable development is to create new jobs and increase tax revenue in partner countries to reduce poverty and provide basic services. One of its most important development aims is therefore to support DRM through tax revenue and other official payments made to their host countries by companies financed by Finnfund. Through its policies on tax and corporate social responsibility, Finnfund complies with Finland’s general state-ownership policy guideline on the publication of tax information. It requires that companies in which Finnfund invests do not use artificial structures to avoid paying tax in developing countries. The effect on tax revenue is also a factor in each funding decision taken by the Finnfund board. Finnfund requires full transparency to tax authorities on corporate structure and tax payments. Also, Finnfund is not allowed nor wishes to promote any aggressive tax planning or tax evasion in investee companies. Domestic public resources are at the heart of financing Agenda 2030. They are nationally owned public resource, making them ideally suited to funding areas of country-led development plans that are less suited to be funded by other types of development finance, such as redistributing resources to the poorest people. This makes the slow progress on DRM across developing countries and lower-income countries in particular all the more problematic. However, that is not to say that progress has not been made along with development partner support, with a significant amount of reforms taking place and increased emphasis on the quality dimension of revenue generation. The latter should lead to more sustainable and effective DRM in the medium term that is aligned to countries’ development goals. Notwithstanding this, there are potentially significant financing gaps to deliver government-led programmes for DRM, which both the current distribution of ODA for DRM and the potential scale of support by 2020 will not be able to finance alone. This highlights crucially that ODA for DRM needs to be able to used in a way that is cognisant of the wider financing landscape of DRM and the needs of partner countries, so it can be most effective according to its comparative advantage. The paper offers recommendation on how the policies, structures and processes of recipient government and development partners can help achieve this. Recipient governments should focus on clearly outlining and communicating their commitments to DRM, building state capacity to deliver services, providing greater clarity to development partners about their DRM needs and planning to improve alignment and coordination. They should also develop structures for both formal and informal discussions with development partners and other critical domestic stakeholders. Progress on DRM is predicated not only on building state capacity to collect revenues, but also on the development of areas related to it, such as reducing corruption and improving transparency to build trust, facilitating trade and economic growth, and strengthening other key areas such as statistical capacity. Both recipient governments and development partners need to ensure focus is paid to these, and recipient governments need to establish whole-of-government approaches to DRM. Despite outlining a clear commitment to doubling support for DRM, progress towards it so far has been mixed across development partner members of the ATI. With less than two years until the deadline, there needs to be a shift from statements of commitment towards concrete funding and implementation strategies. Development partners should prioritise support to countries that not only show commitment, but also where significant opportunity exists to strengthen DRM systems in terms of quantity and quality taxation. And they should focus support on countries where there is less opportunity for alternative forms of finance to support DRM. It is also vital to ensure that their M&E systems capture progress on the social aspects of tax and strengthening how their tax support contributes to progress on gender, poverty and equity rather than relying on indirect links and expectations. In addition, development partners need to make sure they invest in supporting the ‘tax reform enablers’ such as data, accountability and transparency mechanisms in partner countries and support whole-of government approaches. Development partners can have a significant influence over DRM in ways that are not directly linked to the support they provide. Their wider ODA can ensure greater facilitation of state building, so it is imperative where possible that principals of effective development cooperation are adhered to, even in fragile contexts where possible. In addition, coherence in the support they provide and their wider policy formulation is key, with a greater need to understand the impact that this has. DRM coded – Projects which were coded with the purpose of ‘Domestic revenue mobilisation’ (purpose code 15114) are immediately marked ‘3’ in the results column. No keyword analysis is undertaken. Projects with a major or minor DRM component – The following purposes were marked as relevant for the primary word search: Public sector policy and administrative management (15110), Public finance management (15111), Decentralisation and support to subnational government (15112), and Financial policy and administrative management (24010). These sectors are identified to best capture aid for DRM outside of the 15114 purpose code. Project titles and short descriptions of CRS entries under the marked relevant purpose codes were searched for the broad terms ‘tax’ and ‘revenue’ to identify projects with taxation or revenue issues as principal objectives. These terms were decided on once we had observed that most of the core aid for DRM projects that we sought to capture had these words in the 150 characters allowed in the project titles and short descriptions. These projects were marked ‘2’ in the results column. Long descriptions (which allow more characters to be entered for each project) were then searched for the same broad terms. Projects captured in the search of long descriptions but not in the search titles or short descriptions were marked ‘1’, on the assumption that DRM was one objective of a wider programme. A secondary search using narrower terms was carried out on the project titles, the short descriptions and the long descriptions of all projects that were not already marked as ‘2’. These terms, such as ‘domestic revenue mobilisation’ and ‘increase revenue’ (and variations of these, such as mobilisation/mobilization) captured a pool of projects that were then examined manually to determine whether DRM was a core objective, or part of a wider programme. In a similar way, narrow search terms such as ‘macroeconomic’, ‘fiscal policy’, ‘budgeting’ and ‘monetary policy’ that would suggest wider financial management programmes were used to identify projects that may have appeared as aid for DRM in steps 3–5. These projects were examined manually to determine whether they represent wider programmes of which DRM was a major or minor part. We also examined projects outside our relevant purpose codes. Their project titles and short descriptions were searched for the broad terms ‘tax’ and ‘revenue’. Projects containing these terms were then examined and marked manually according to whether DRM was a core objective, or part of a wider programme. We also accounted for the fact that CRS reporting can be in either of the official OECD languages (English or French). We searched the project titles, short descriptions and long descriptions for a selection of relevant French words. The projects that these searches returned were manually marked ‘1’ or ‘2’ as appropriate. Supporting sectors relevant to DRM – Oxfam and other institutions identify four DRM ‘supporting sectors’: Public finance management (15111), Decentralisation and support to subnational government (15112), Anti-corruption organisations and institutions (15113), and Trade facilitation (33120). Projects to these sectors that had not already been identified in the keyword searches were marked ‘0’ in the results column. Entries that have been marked ‘3’ are considered to have ‘Complete’ DRM components; those that are marked ‘2’ are considered to have ‘Major’ DRM components; those that are marked ‘0’ are considered to have ‘Minor’ DRM components. The results of the analysis are shown in Figure A1. Lastly, note that the construction of the keyword search allows prefix and suffix returns; for example, ‘macro’ will return all instances of the word ‘macroeconomic’.